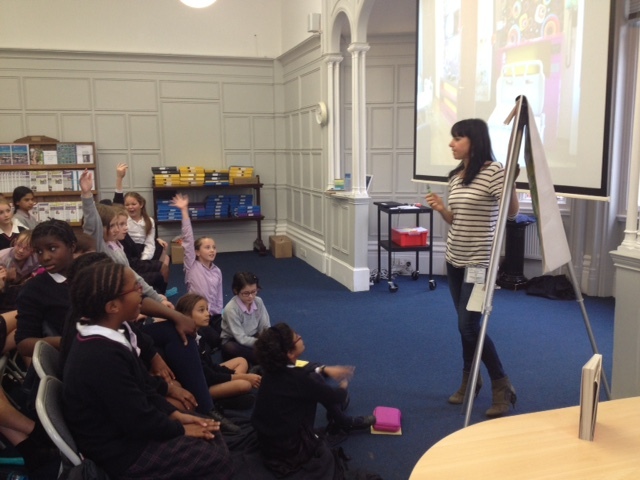 Author helps Year 6 get creative! The Sister, Sister author helped the girls get so totally immersed in their writing that, by the end of the session, they had not only created an inventive and imaginative story arc but had also developed character profiles through group discussion, drawing and drama. Their only worry was whether the author might use the amazing title they came up with! Jess also talked to them about her own creative life – admitting that she hadn’t been able to read until she was seven years old, never mind write creatively. She even confessed to dropping out of her creative writing course at university because she was told her style was breaking expected boundaries. Thankfully she returned to writing, inspired by her own children. If Jess wasn’t one of the girls’ favourite authors before the session, she certainly was afterwards!